Huawei Mate 10 was newly released, which is designed to bring users' vision to life and help user enjoy an immersive viewing experience with HDR 10 technology. And it uses world's first Kirin AI processor to bring user a faster, stronger, and seamless smartphone experience. 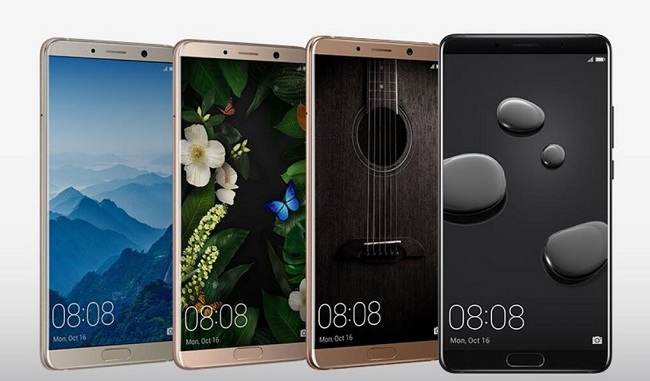 If you are a new Huawei Mate 10 user from Apple iPhone, and want to copy the music files or playlists from the primary iTunes library of iPhone to your new Android phone - Huawei Mate 10, you may download Apple Music for Android, but you can't transfer all the large amount of files, even you have some rent movies, purchased Audiobook files and so on. You know that if you can find the iTunes Media Folder, you can find all the saved and downloaded music and video files. Second, connect Huawei Mate 10 to PC via a USB cable and open the iTunes Media Folder to choose the iTunes playlist you want to transfer to your phone and then copy them to your new Huawei Mate 10. After the transferring, you may find that you can't copy all the files to Huawei Mate 10. Some DRM protected M4P files and downloaded Apple Music files, you can find them in the folder, however you can't transfer them or you can't open them on your Mate 10? Why? These files are with DRM protected, you can play them normally unless you can remove DRM fron the protected Audio files, and then copy and transfer them to your Huawei Mate 10. Don't worry, continue reading below. In the following method, we will show you how to remove DRM from protected iTunes M4P and Apple Music songs with the help of Macsome iTunes Converter. To deal with the problem well, you need to free download Macsome iTunes Converter at first. With the iTunes Audio Converter, just "Add - Set - Convert" three steps, you can complete the DRM removing and M4P to MP3 conversion with fast conversion speed and excellent output quality. Step 2. Follow the instruction to install and run it, and click "+" button, and choose the music files you want to convert, and then click "OK". Not you have added the downloaded Apple Music files to the program. Step 3. Click the setting icon to choose the output format or output folder. After the conversion, you can go to the output folder to find the converted music files and then transfer them to your Huawei Mate 10 as you like.